A book of POWERFUL ANSWERS, which, not so long ago, seemed well out of our reach. 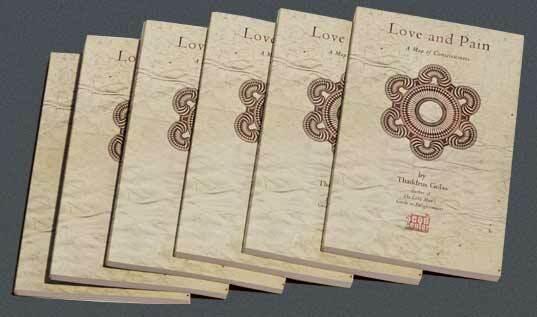 Love and Pain, by Thaddeus Golas, ©2008, Seed Center Books/Even Lazier Publishing Ltd. Author Thaddeus Golas, known for his classic manual on human consciousness, The Lazy Man’s Guide to Enlightenment (Seed Center, 1972) returns to publication 40 years after he delivered the simplest and most effective spiritual handbook ever written. Size: 5″” X 7.6″” Inches – 176 pages. of so little help to us a human beings? and the unwelcome pain and confusion of our human lives? 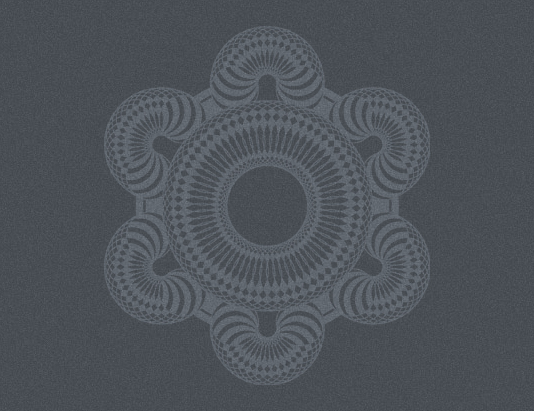 “I began an answer in The Lazy Man’s Guide to Enlightenment. Incredibly, Thaddeus Golas answers the riddles – and these answers can blow the roof off your head, if you can let go. And now, he has left the ball in our camp: What will we do with this knowledge? Could we stand to live in a world where everyone can know and use this information, and if so, would there even be a world of matter left for our spirit to wrestle with? Love and Pain is a “reality-check” and an eye opener for anyone interested in how the world around us functions. You may wish someone had explained all this to you long ago, and you may well have lived a different life had it been the case, but when you read Love and Pain, you may be awed such a book even exists at all. In 1975, a mere three years after The Lazy Man’s Guide to Enlightenment was first published, Thaddeus Golas sat in his small Grace avenue apartment in Hollywood, and wrote to a friend that, while his third marriage was coming apart, thousands of people were discovering his philosophy for the first time, gently “getting off” on it. DeRay Norton, his publisher, regularly forwarded heaps of fan mail to him from Palo Alto, then home of the Seed Center. enlightened guru, asking him for advice, when he was in fact gutted and distressed over his ineluctable and impending divorce; he was indeed wrestling with many new demons all his own. Love and Pain was born out of that struggle to understand why he had failed to dwell in constant bliss, despite all his own good wisdom. zeitgeist of the ’60s gave way to a sobering social reality in the 1980s and ’90s. of cultural bliss had required the collective agreement of a generation during prior decades, so might it be, to some extent, with the ensuing crash. He felt that he owed it to his readers to continue his exploration all the way to the only possible place The Lazy Man’s Guide to Enlightenment was leading him. It took him many years to sort it out. And for his readers, it may take an equal amount of years to process. Love and Pain is just that: a process. Like many people, when I first read The Lazy Man’s Guide to Enlightenment (the now famous precursor to Love and Pain), my mind was opened to a whole new set of possibilities. But my hunger wasn’t satisfied by this book alone. In some ways, it provided me with more questions than answers. I wanted to know the details of Expansion and Contraction. I wanted to see the blueprints for how Golas’s view of the universe played out in every one of my daily pursuits. I wanted the full explanation for the practical application of the knowledge. And that’s what I got when I opened Love and Pain. 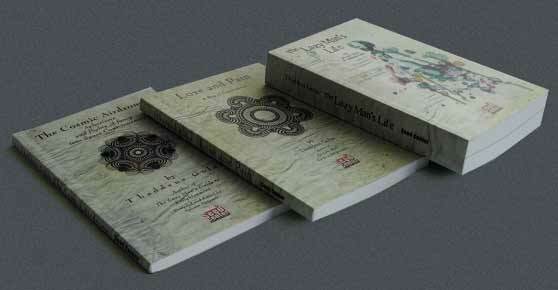 Love and Pain is the next level, the class for the teachers. As the title suggests, it is with both tender compassion and merciless unsentimentality that Golas here elucidates the nature of our shared reality. He offers a completely unifying theory of atomic relationships that is equally applicable to everything from molecular biology to space travel, and also serves as a working overlay for our relationships to art, religion, philosophy and each other. Golas has succeeded in fully bridging the gap between the physical sciences and the various incarnations of spirituality. None of these things need be separated. None of the things that we think, feel, see or experience are mutually exclusive. And Golas deftly illustrates the way in which all these things make sense together. He gives us the information that has the power to pull down all the walls between selves and others, truths and lies, physics and metaphysics. The only thing he can’t do is decide for you whether or not you’re ready to have those walls torn down. He doesn’t presume to diagnose your level of preparedness for seeing the universe as what it really is. He doesn’t provide a replacement lifeplan for those who rely heavily on mythology for a behavioral structure. But what he does do is arm us with a functional model of existence, a down to earth, easy to read, practical understanding of what it means ‘to be’. And nothing he says contradicts any scientific or empirical data that we have accumulated as a species. Au contraire, he unites them with the subtle beauty that one recognizes in a mathematical formula when it is proved true. If you really, deeply, want to know what’s going on and how it affects you, if you really are ready to let go of all the partial answers we think we have, then this is your chance. 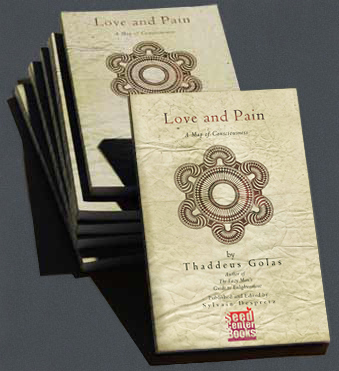 Love and Pain is the book in which Thaddeus Golas finally turns all the lights on. But it’s up to you whether or not you’re going to like what you see. Once that idea was installed in the mental computer, I thought, any mind could sort itself out. Perhaps others can give it better extension than I have. I wrote The Lazy Man’s Guide to Enlightenment in language that any reader of English could understand, making it as easy as possible. Now, in writing Love and Pain, I decided to state the case as clearly as I could without regard to a general audience, as though I was writing to a friend, someone like myself. Over the decades, along with the problem of working out the book’s concepts, I stewed over the difficulty of communicating them. There was a wide range of possible applications, and many levels of vocabulary at which the language could be pitched. At first I thought it would be best to write an imaginative work that might catch the attention of people better versed in sciences. Power begins with the willingness to endure pain without changing. Everyone wants power. Even the New Age people want the world to bend to their thoughts. I know there are enormous industries built on the flight from pain. The cost of medical care multiplies much faster than the rate of inflation, and the children of the middle class inherit little wealth. A better understanding of the role of pain in our lives might diminish such nonsense, but the net quotient of suffering will probably remain the same. I am not offering that sort of deliverance. What I do offer in Love and Pain is a clear understanding of the real benefits that any person may expect from prolonging consciousness. Consciousness does not give the power to control energy and matter. It is the power to push them away, to leave this reality and stay away. That is all consciousness does, but it is enough. The rewards are truly much more profound than anything we can enjoy on Earth. There are great advantages in the information in this book: knowing how our reality works, we can avoid wasting emotions, time and effort in pursuit of false goals. Personally, I found great relief in realizing that I was not obliged to correct anyone’s erroneous opinions, since ideas do not do anything. Also, I could stop criticizing myself for failing to dwell in constant bliss. When I encounter pain, it does not mean that I have necessarily been stupid: pain is inevitable in human life, whichever path we take. Neither am I obliged to rescue others from their pain: they will gain greater strength in enduring it and solving their own difficulties. I try to be kind to strong people because they have endured much to become strong. That which offends the sentimental in the short run is often the greatest kindness over a longer time.